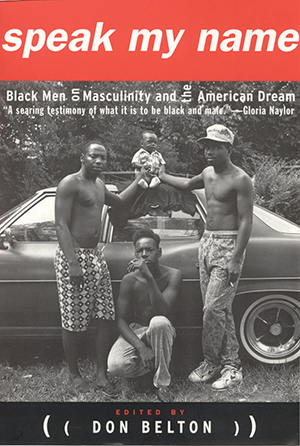 Including the work of Derrick Bell, Trey Ellis, Haki Madhubuti, Clarence Major, Walter Mosley, Quincy Troupe, John Edgar Wideman, and August Wilson, among others, Speak My Name explores the intimate territory behind the myths about black masculinity. Deeply provocative, challenging and useful. Don Belton has accomplished an essential task in gathering 25 richly talented, intelligent and sensitive African American males to produce a compelling collection. . . . One that arrives at just the right time. Brilliant, bold . . . Speak My Name does for black men what Terry McMillan’s Waiting to Exhale and the Delaney sisters’ priceless Having Our Say have done for black women.